Neda, according to mythology, was a nymph, a deity of the waters, which, together with Thisoa and Agnos, raised up Zeus and saved him from his father Saturn, who ate his children. The Neda River, from which it has its name and our hotel, is the only river with a female name and is one of the many unknown challenges for a traveler. Its experience is a unique experience: walking through the canyon, the landscape changes, the waterfalls, the archaeological site of ancient Figalleia, plus the fact that the traces of the human presence are minimal and discreet, they make up an unparalleled backdrop. It flows from the source that Rhea opened to be swallowed, immediately after the birth of Jupiter. It forms a 32 km route and constitutes the natural boundary of the prefectures of Ilia and Messinia. The river over most of its course crosses a narrow canyon, which is just ... gorgeous. In the heart of the summer you can cool off by diving into the icy waters of the natural swimming pool, formed by its splendid hanging waterfalls. The Kaiafa area includes the best and most beautiful nature, a wonderful and unique ecosystem in the world, including the thermal springs, the lake, the pine forest and the historic Lapitha Mountain. Kaiafa Beach is one of the most beautiful of Greece. It is endless with white sand and is suitable for your summer excursions. Take a swim in the warm waters of the thermal springs of Lake Kaiafa or the lovely blond beach of the Ionian Sea and enjoy the red sunset in the sea. 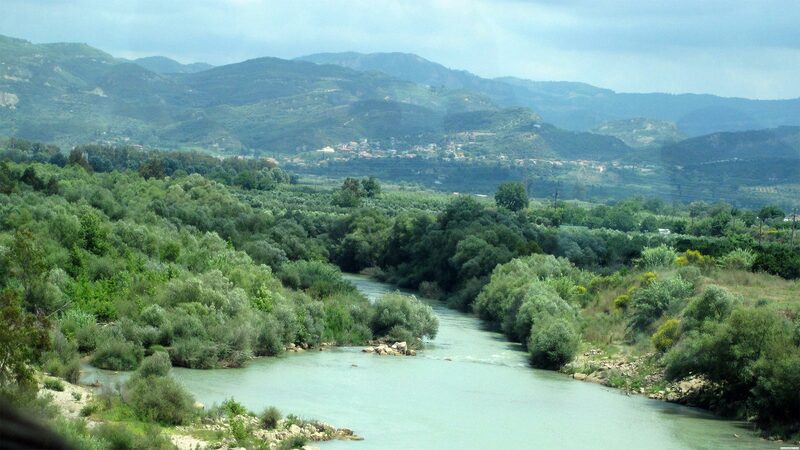 Alfios is the largest river in the Peloponnese. The ancients believed that Alfieus was a lad who loved hunting. She was dazzled by a beautiful nymph of Arethousa and offered her to marry. But Arethoussa refused. Choose to stay free. To avoid Alfios he traveled to distant Sicily. But he was nostalgic for the Peloponnese and dreamed of returning. Some gods regretted her and transformed her into a rich and brim spring that her waters entered deep into the sea trying to reach the Peloponnese. Alfios was transformed into a large river with springs from Arcadia and rich waters that crossed Olympia and poured violently into the Ionian by encountering the waters of the source of Arethousa. 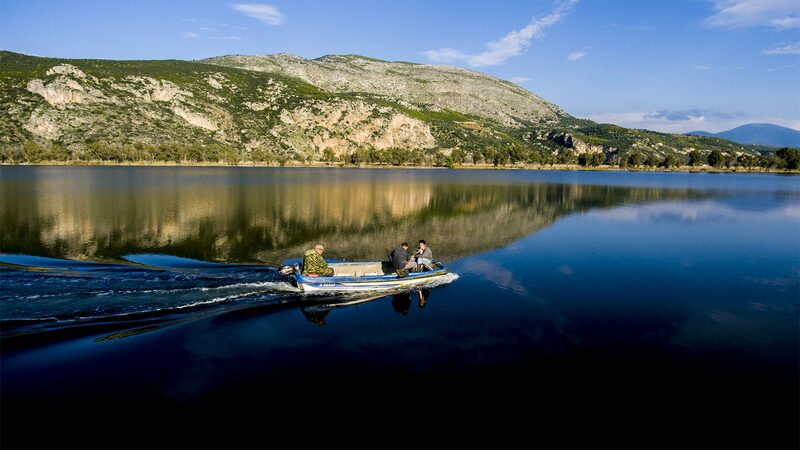 Alfios is the largest and largest river in the Peloponnese, with a length of 116 km, forming fertile valleys, lakes, tributaries and landscapes of exceptional beauty. The most important values ​​of humanity were born and emerged on the banks of the river. Kladeos is a tributary of Alfie known since antiquity. It was personified by the ancient Greeks and was depicted in statues in the Temple of Zeus, in Olympia. 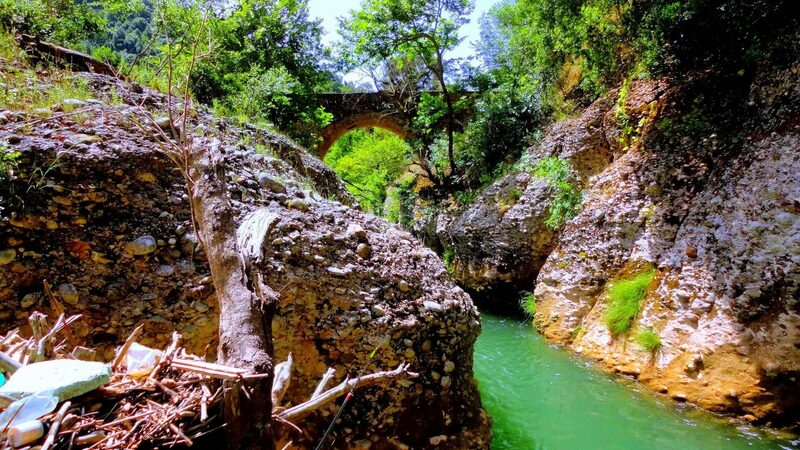 Both its springs in the Lala area and the small gorge with the natural stone bridge called Theoghyfiros are enchanting. At the end of its course, it passes through ancient Olympia and is poured into Alfios, at the roots of the Cronius hill, in an area full of olive groves. Within walking distance of the river, there were baths where the athletes, the Thermi Cladeos, were built, and were built in Roman times. From the waterfalls of Haratsari. 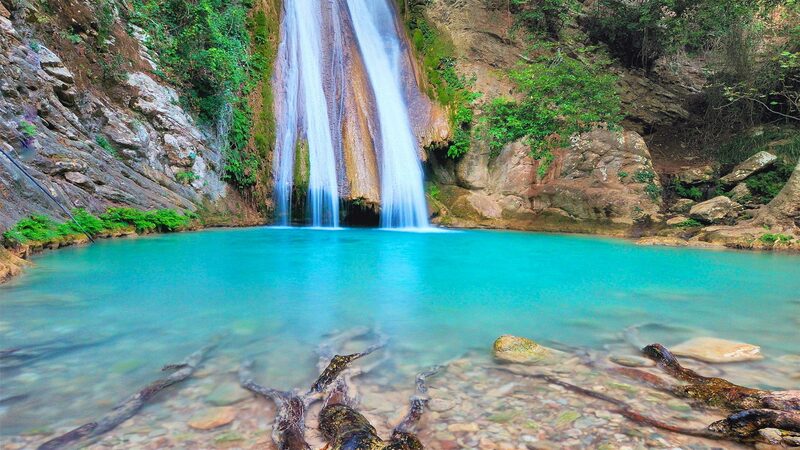 Here are the eight beautiful waterfalls of the ravine of Haratsari 15 to 42 meters high. It is a wonderful treasure of natural beauty in Ilia, unknown until now to the general public, and excite anyone who faces them, while many are the ones who every day are interested in being there. Emerging as a site attraction is a result of the long-running effort of a group of young people living in the area. From the waterfalls of Amoula, where are the seventeen beautiful waterfalls of the Amoula ravine of 15 to 52 meters high. The traveler has the opportunity to admire the wild beauty of nature on a path filled with willows, oak trees, pines and plane trees, to encounter a variety of birds, insects and wildlife, as well as ruins of watermills and barrows. 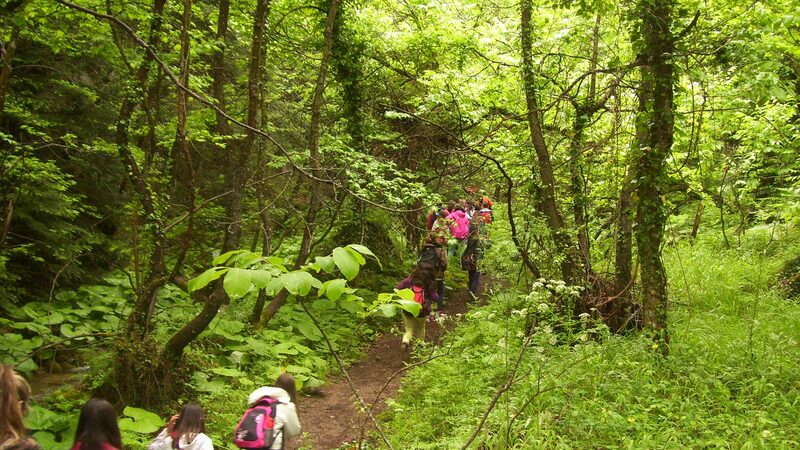 In the unique oak forest of Capelis (NATURA 2000), a network of paths has been formed which is mainly suitable for horse trawling. Walking on the paths of the forest brings to life the myths about the centaurs, whose leader was Pholos. When Hercules came to the area to kill the Erythmanthus, Capos offered him a cup of fragrant wine, which made the other Centaurs rush against him. After a violent conflict with Hercules most of the Centaurs were killed, Pholos was injured and died a little later. Heracles, as a real friend of his, buried him in the mountain that he lived and gave the forest the name Foloi. Across the plateau, which the locals call "the balcony of Ilia", the oak (oak) dominates. The forest of Foloi is one of the rarest forests, unique in the Balkans. Its oaks are tall, others straight like cypress trees and other thick stalks. Near the inhabited areas and ravines are found chestnut trees, plane trees, holm oaks, hollies, heathers, walnut trees and fruit trees. This is where the river of Peñiakos (or Ileiakos) comes from Ladonas or Sellious, and a canyon is formed, characterized as a habitat of great historical and ecological value. 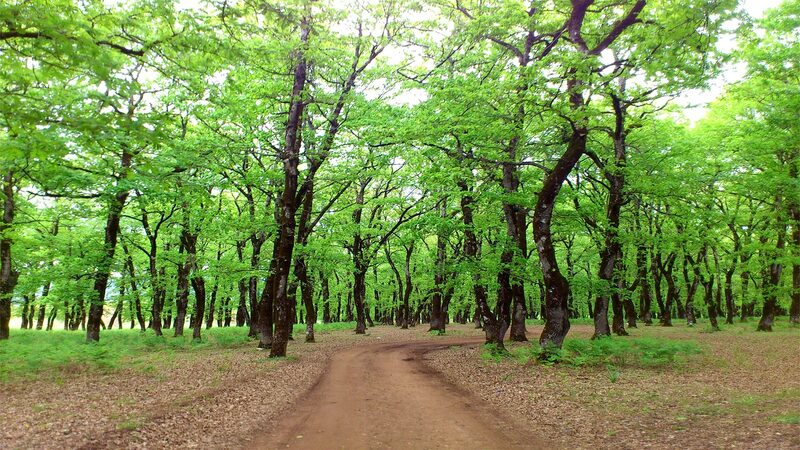 A green sea with oak trees, just a short distance from Olympia, is waiting for you to wander around. 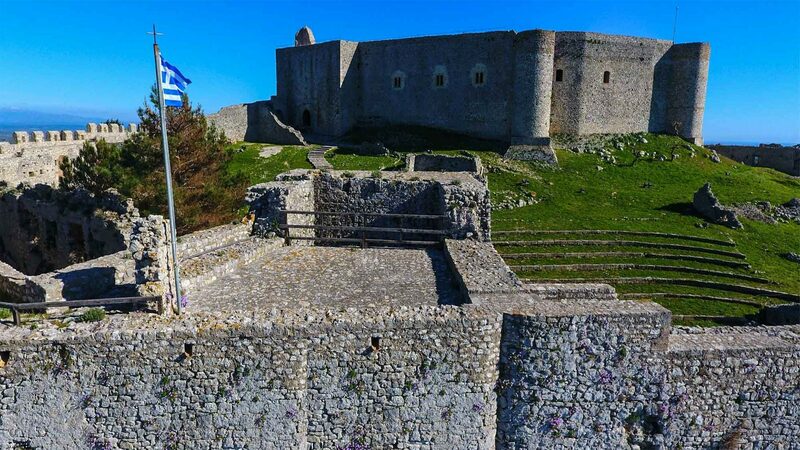 The castle of Chlemoutsi, dominates the top of a hill, at the western end of the Peloponnese, with a panoramic view of the valley of Ilia and the Ionian Sea. It was built by Gidephrios I Villarreal in about 1220 AD. and was imposed, like the forlorn fortress of the Frankish Principality of Achaia. He passed by Greek, Venetian or Turkish rulers, until the period of the Greek Revolution for Independence. It retained its strong Frankish features almost unchanged so that it is today a striking example of a fortress, Frankish architecture in the Peloponnese. A picturesque harbor with a strong traditional color and cosmopolitan at the same time, welcomes thousands of visitors every year from the cruise ships and private boats that approach the marina. At the entrance of the harbor dominate the old raisin warehouses that have been restored now have been transformed into cafes and taverns giving a special color. In the area of ​​Katakolo - Agios Andreas, 20 km from Olympia, you can discover beautiful beaches and small friendly coves, to enjoy the sun and the sea. 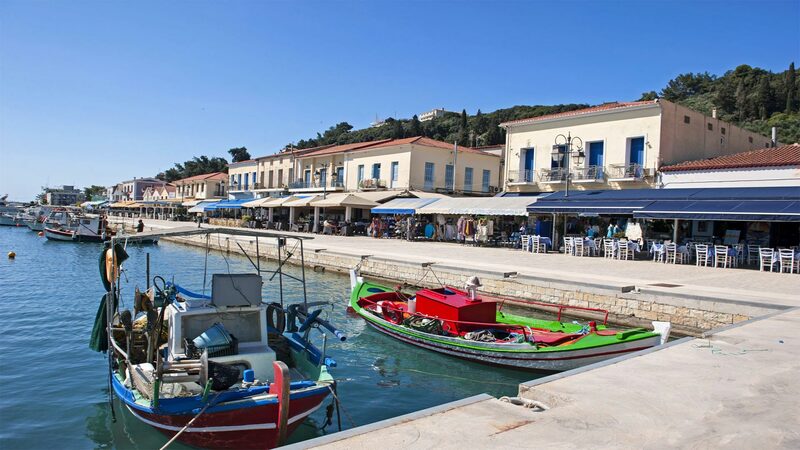 At the various shops and bars next to the sea, you can enjoy your coffee or chilled ouzo and beer with delicious seafood snacks. 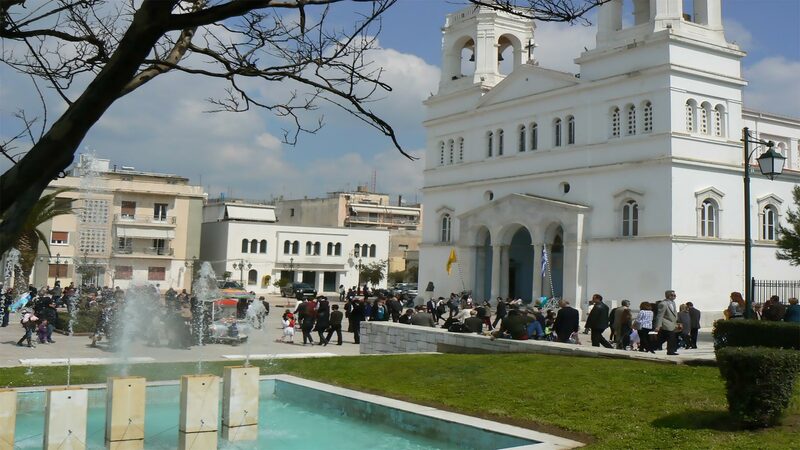 The capital of the prefecture of Ilia, is a beautiful provincial town with interesting neoclassical buildings such as the old municipal market, a magnificent work by architect Chiller, which today functions as a museum. Karytaina is a village of Arcadia mountain, in Gortynia, 20km southwest of Megaloupolis and at an altitude of 500m. The castle was built at the beginning of the 13th century and the area was one of the 12 barons that the Franks founded in the Peloponnese. He passed from the Byzantine to the Venetian hands and then to Turkish until the beginning of the revolution of 1821, during which the center of operations and coordination of the struggle with the leader of all local powers was Theodoros Kolokotronis. 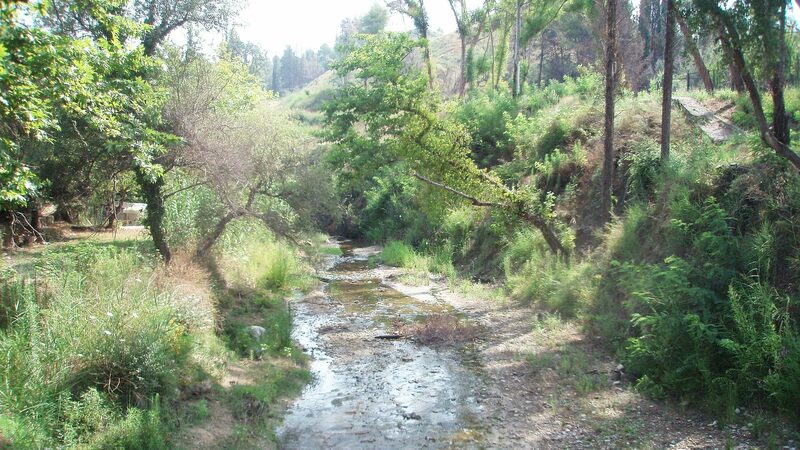 The Erymanthos River is the natural border of the prefectures of Ilia and Achaia and stems from the homonymous mountain. Here nature talks to humans. Plants, olives, a variety of plants, flowers and rocks are home to wild animals. Crystal clear waters springs from everywhere and make the landscape unique. On the slopes of Mount Helmos at 750 m Kalavrita spreads out. Beautiful houses, streets and plane trees create a very calm embrace. 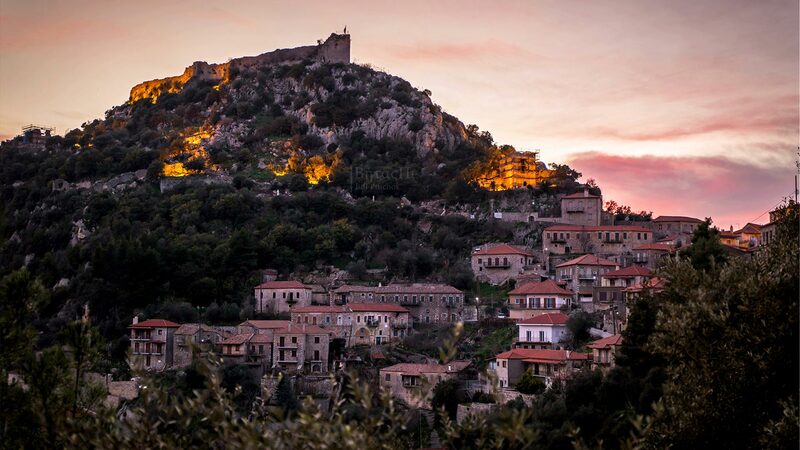 A little outside the village, on the rock is built the Venetian "Castle of Oria". It is worth visiting the Monastery of Agia Lavra, which was built in 961, at an altitude of 961 meters and once had 961 monks. This is where the message "Freedom or Death" was heard, and the revolution of the Greeks began in 1821. Another attraction in the area is the Great Cave, built in 362 AD. at an altitude of 1000 meters with great views. The temple of the monastery has beautiful frescoes, mosaic floor and a bronze door with reliefs. 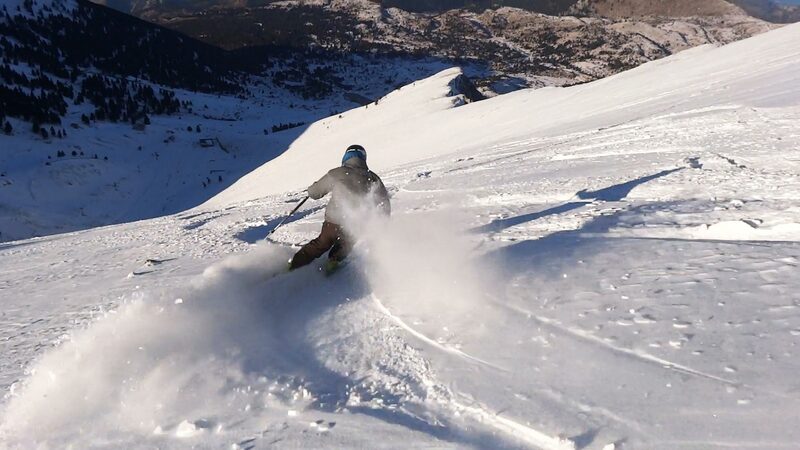 The ski resort of Helmos is located 14 km from Kalavrita, in the main volume of Helmos, with two lifts to the same number of buildings and runs.